On November 20, the ACEC-SK Saskatoon Buildings Committee organized and hosted a successful workshop on the 2017 National Energy Code for Buildings (NECB). On January 1, 2019, Saskatchewan will be adopting the 2017 NECB province wide. 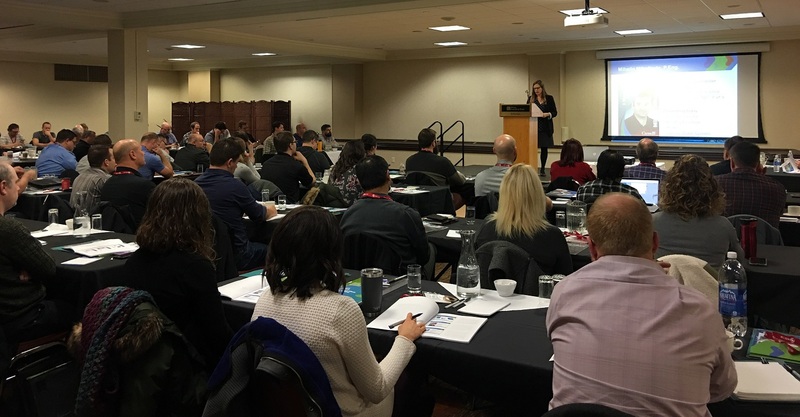 In order to provide an opportunity to familiarize those working in the building industry with the code content and impact, the seminar featured presentations from National Research Council (NRC) technical advisors, a Building Performance Engineer and the City of Saskatoon. NRC provided an overview of the requirements for Building Envelope, Lighting and Electrical Systems, and HVAC and Service Water Systems using both the prescriptive, trade-off and performance compliance methods. Samantha Lane, P.Eng., a Building Performance Engineer from Edmonton presented on the building energy simulations, the role of designers and how to integrate an energy model into the typical project work flow. Finally, the City of Saskatoon, presented the Building and Development permit process updated to include the NECB requirements. With 96 people in attendance representing engineers, architects, building officials, inspectors and owners, the event was a huge success. The cross section of attendees allowed for good discussion about the impact to the buildings industry and feedback was very positive.